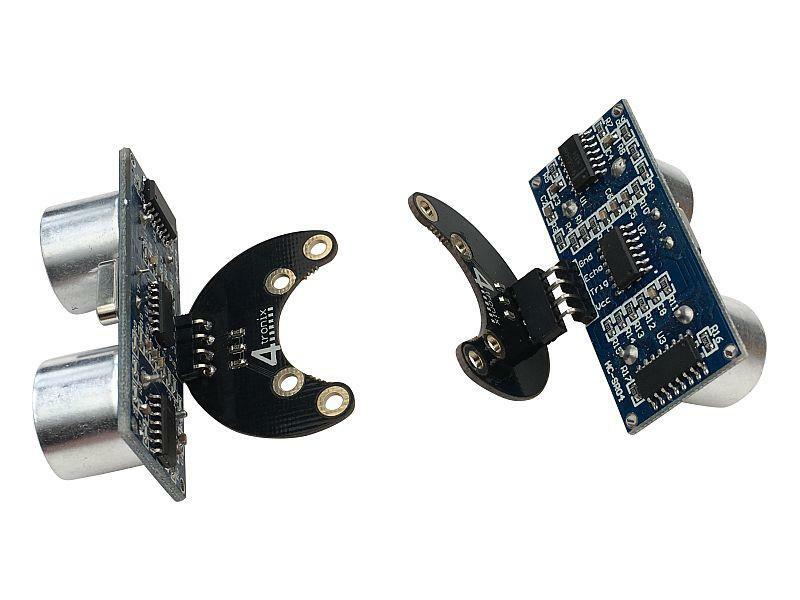 Produktinformationen "Ultrasonic Distance Sensor for Bit:Bot"
Ready-Soldered, just attach to your Bit:Bot with the screws provided and off you go. Use Microsoft PXT (or MicroPython with some awkward code) to read the distance to an obstacle, then program your Bit:Bot to avoid it. 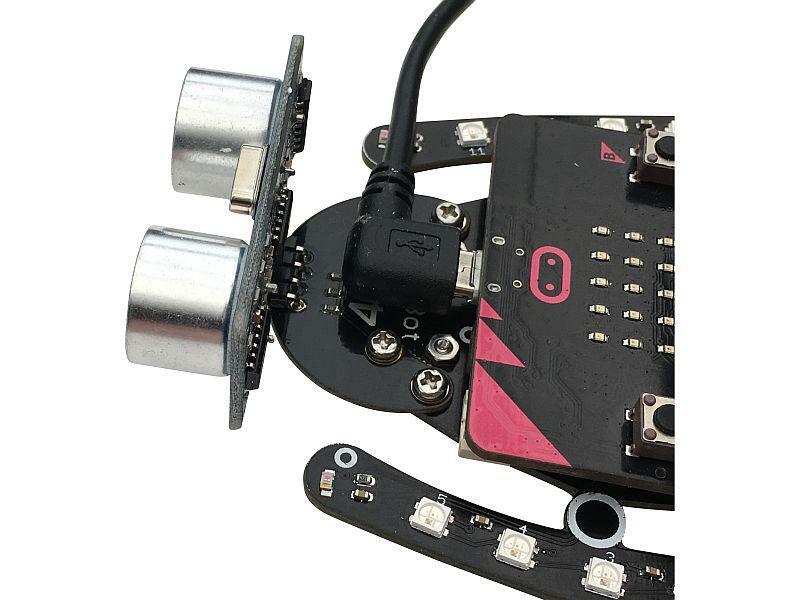 The sensor soldered into the PCB is much more robust and reliable, but has a big drawback in that you cannot access the micro-USB connector on the micro:bit unless you either remove the micro:bit or use a right-angled USB cable. Weiterführende Links zu "Ultrasonic Distance Sensor for Bit:Bot"
Garantie(Jahre) "Ultrasonic Distance Sensor for Bit:Bot"
Kundenbewertungen für "Ultrasonic Distance Sensor for Bit:Bot"